Abe Lincoln: The Boy Who Loved Books is so adorable and so perfectly kid-friendly that early childhood educators will definitely want this book in their collection. It's one of the three or four Lincoln books that we read to our first and second grade classes each year around President's Day. This book tells the story of Lincoln's life, from his childhood living in a cabin in the woods to his adult life as a lawyer and eventually as the President. 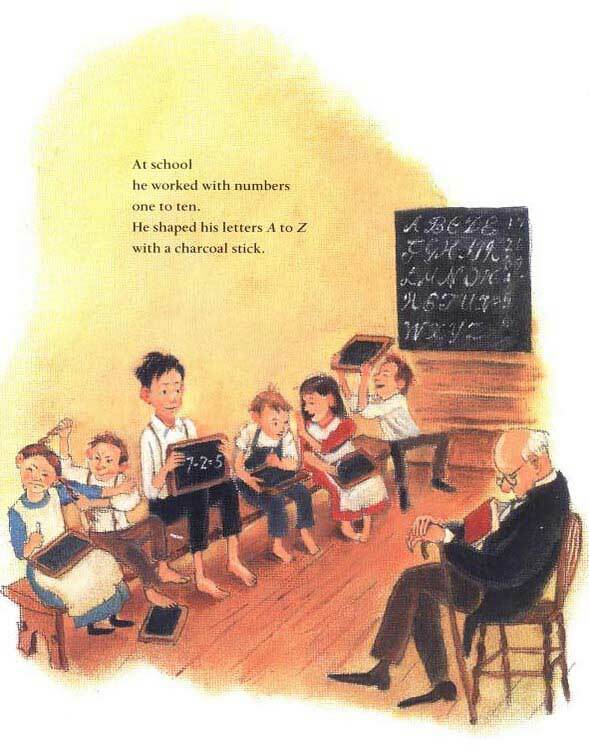 However, the BULK of the book is devoted to his early years. The book ENDS with Lincoln becoming President. There's no mention of what he did once he became the President, and no mention of the Civil War or slavery. The focus is on his formative years and how his determination to learn and his resolve in overcoming adversity made him into the great person he was. And the illustrations.... ADORABLE!!! 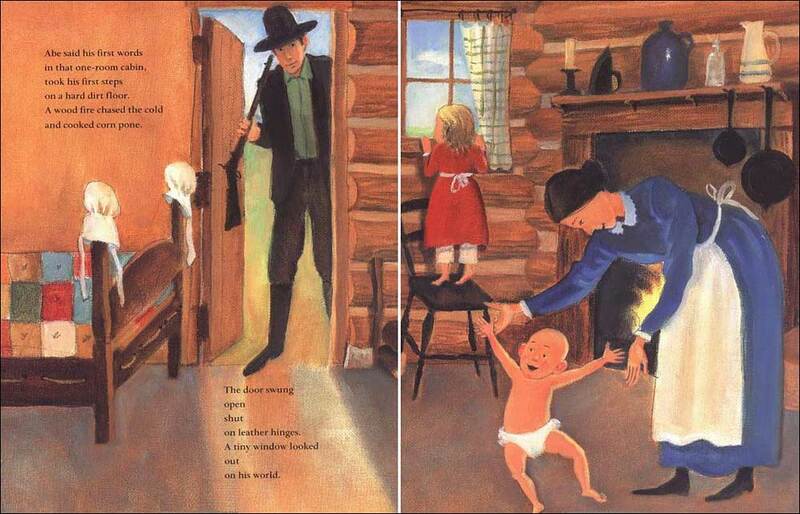 We admittedly are partial to this cute, folksy style of illustration, but regardless of your personal artistic leanings, Nancy Carpenter's illustration style really words with the historical setting of this book. 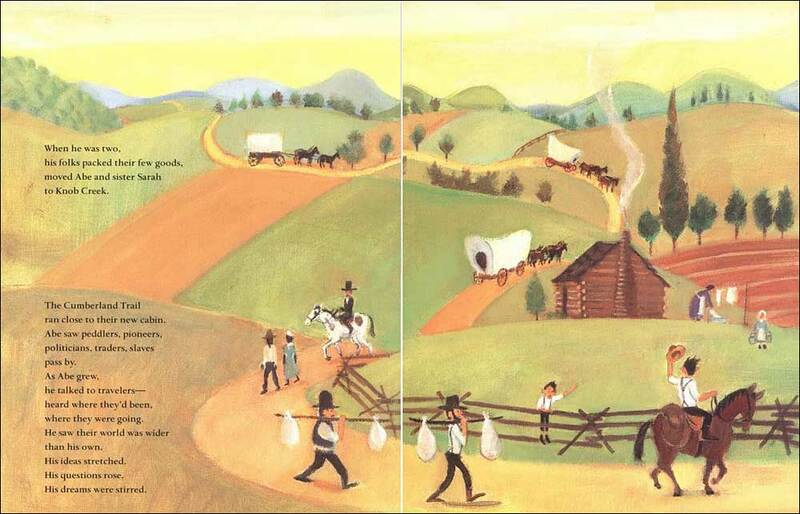 Publisher's Weekly called the style "reminiscent of Grandma Moses's work" and we agree. It's a PERFECT choice for this book! 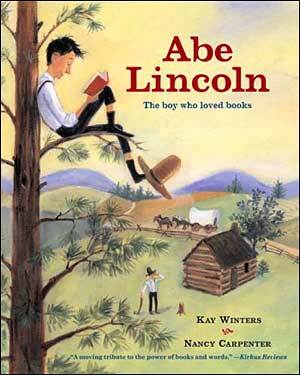 Get Abe Lincoln: The Boy Who Loved Books--you'll love it! Just $2.75 each! 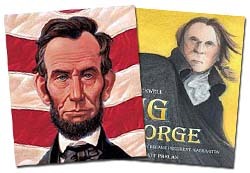 Check out our list of great kids books about Lincoln and Washington. We often have this fantastic book in our inventory. If we don't currently have this exact book today, there are likely lots more good books to choose from...all at 50% or more off retail prices!